Business success stock images by Aurielaki. illustration target illustrations in EPS10 EPS JPG AI. Success. Businessman aiming target. Concept business vector illustration. 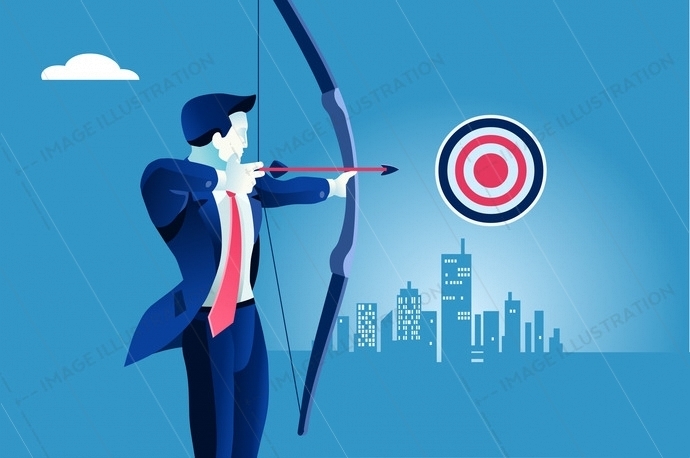 SKU: Business-success-target-illustration-AurielAki. Category: Office Cartoon. Tags: achievement, aiming, ambition, arrow, aspiration, background, blue, bow, business, businessman, center, challenge, competition, concentration, concept, control, direct, direction, exact, focus, hitting, illustration, Job, leader, leadership, man, manager, metaphor, new, opportunity, precise, problem, progress, search, searching, sharpened, situation, skill, solution, solving, success, surgical, target, vector, winning, worker, Working.